The most effective way to live more healthily is more activity in everyday life. Simply track and check your fitness progress regularly! Using tracking, we find out how much or little we really move in everyday life. Only then we can set goals and efficiently work to reach them. 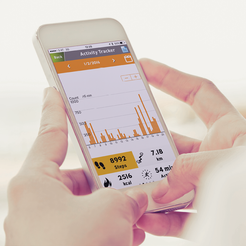 The tracker from stayfit will also motivate you to achieve your goals, because you have all data at a glance! With the next update, you and your friends will also be able to motivate each other with leaderboards, challenges and badges. The stayfit Activity Tracker registers arm movements and calculates the number of steps or calories consumed as well as your sleep phases. The Blood Pressure Monitor gives you an overview of your measured values. The Diagnostic Scale determines 8 body-related values, e.g. weight, muscle mass, water percentage, body mass index etc. Blood pressure in the eye? 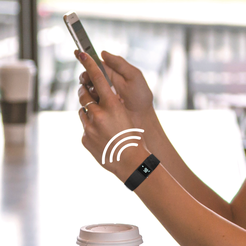 Record your fitness data in everyday life. Transfer data via Bluetooth® to smartphone. All evaluations in sight on smartphone. Soon our tracker will show more! 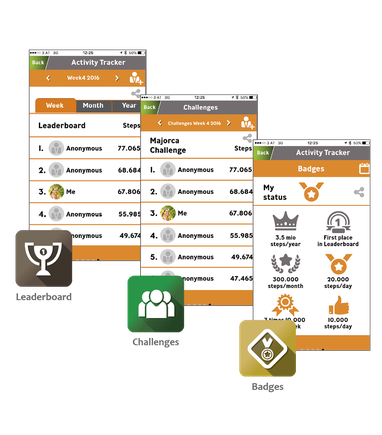 The 3 motivation tools Leaderboard, Challenges and Badges will motivate to more movement soon! The extra motivation by comparing with Friends in everyday life. have created, you can motivate yourself with friends. Even through the use of wearables it is possible to win badges. An incentive to be more active in everyday life.